Really fun to walk through. If you haven’t been, you should go!! We absolutely loved the wax figures. All of the celebrities were easy to recognize. WHICH STAR WOULD YOU LIKE TO SEE IN THE HOLLYWOOD WAX MUSEUM? ONE OF THE BEST VACATION THINGS TO DO IN MISSOURI! If you've ever dreamed of meeting a star, or being a star, you'll want to get your tickets to Hollywood Wax Museum in Branson so you won’t miss out on the fun! Here, you can pose with pop culture icons and befriend your favorite stars for picture-perfect selfies using our costumes and props. Wonder what it would be like to arrive in style at a movie premiere? Attend a celebrity cocktail party? Marry a star? You can do that too! Plus, you’ll gain a whole new perspective on the stars as you make your way through the sets and scenes learning about their pets, pet peeves, charity work, side businesses and more. 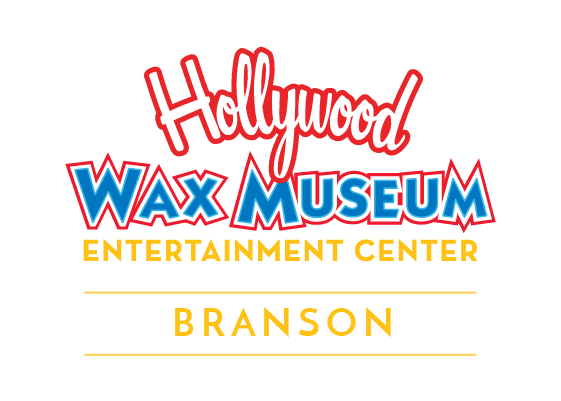 Celebrating 23 years in Branson, the Hollywood Wax Museum is always a favorite thing to do in Missouri. Our hand-sculpted celebrity likenesses are exceptional pieces of art that take three months for a team of six artists to create. You’ll be awed by their realism and even more impressed when you learn what it takes to make a wax figure beginning with a common lump of clay. There’s no denying the lifelike feel you get when you walk right up to the stars in the wax museum, or when you spot their eyes looking at you from across the room. Just bring your adoring fans (friends & family!) for a memorable great time that makes dreams come true.